A poll suggests that three quarters of Britons believe the taxpayer should not have to fund part of the cost of Pope Benedict’s forthcoming UK visit. Seventy-seven per cent of participants on an online survey of 2,005 adults did not agree that the taxpayer should contribute to the bill for the four-day state visit this month. The survey, conducted by theology think tank Theos, found that only 24 per cent of respondents were actively opposed to the visit, but the majority disliked the idea of state funding for it. Although the majority disagreed with the taxpayer funding part of the bill, 79 per cent admitted to having no "personal interest" in the Pope's visit. Forty-one per cent said that the Pope should not speak out on social and political issues, while 36 per cent said he should. The survey also asked respondents whether they agreed with 12 statements the Pope has made – without citing him as the source. The majority of those polled agreed with 11 of the 12 statements on the environment, the economy and human rights. Eighty-one per cent disagreed with the statement 'poverty is often produced by a rejection of God's love'. There was no statement on sexual orientation, but 63 per cent agreed with the view 'it is irresponsible to view sexuality merely as a source of pleasure'. The findings follow reports earlier this year that the government cost of the trip – previously estimated at £8 million – could rise to between £10 million and £12 million. However, these figures do not include a bill for policing the visit. The Catholic Church is expected to contribute between £9 million and £10 million to this year's trip and was almost bankrupted after the last papal visit from Pope Jean Paul in 1982. Some gay rights campaigners oppose the visit and are planning demonstrations to protest his trip. The Pope has consistently attacked homosexuality and gay marriage in previous years, along with criticising Britain's equality laws. 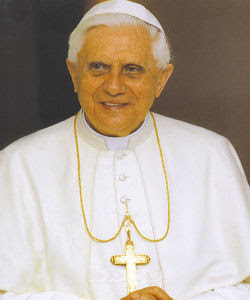 In 2006, he said that the existence of gay people is a threat to humanity akin to the destruction of the rainforests. Terry Sanderson, president of the National Secular Society, said: "The poll confirms that the vast majority of people share [our] resentment at the waste of enormous sums of taxpayers’ money on this visit."